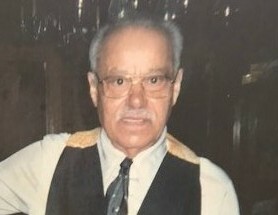 Obituary for Aurelio Ramos | Rodriguez Funeral Home, Inc.
Aurelio Ramos Sr. (Papa), who at 86 years of age, has returned to the loving arms of our Heavenly Father on August 18, 2018. Aurelio Ramos, Sr. was born in Naguabo, Puerto Rico on January 11, 1932. Aurelio was blessed with a large and loving family. He married the love of his life at a tender age of nineteen years of age in Puerto Rico on February 22, 1951. Soon thereafter, in 1953 they moved to Philadelphia Pennsylvania where they have been lifelong residents. Aurelio worked in Masonry and Construction by trade all his life. He was a man of God and devout Catholic. He was a faithful member to St. Bonaventure until their door closed and also St. Veronica until his last days. Aurelio was also a member of the Cursillistas, Holy Name, Legions of Mary and Marriage Encounters Ministries. He is survived by his wife Margarita; his sons Angel (Theresa), Aurelio Jr. (Gina); his daughters Blanca (Pedro), Milagros, and Elizabeth. Aurelio is also survived by 14 grandchildren, 27 great grandchildren, and 5 great-great grandchildren. A viewing will be held Thursday, August 23, 2018 at 9 a.m. followed by a celebration of the Funeral Mass at 10:30 a.m. at St. Veronica’s Church, 6th & Tioga Streets, Philadelphia, PA 19140. He will be laid to rest in Holy Sepulchre Cemetery.